Voters in Baton Rouge will decide runoff elections for three seats on the East Baton Rouge Parish School Board on Saturday, Dec. 6. The election could decide whether BRAC will achieve its goal to winning a majority of the nine-member board. 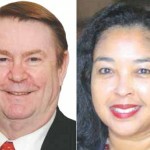 In District 1 – Two incumbent board members will face off — Jerry Arbour (R) and Evelyn Jackson-Ware (D), who is backed by BRAC. In District 6, Republican Mark Bellue (R) who is supported by BRAC, is in the runoff with Jennifer Andrews (D). In District 8, Republican incumbent Connie Bernard is opposed by Chris Bailey (R), who is supported by BRAC. The East Baton Rouge Republican Party is supported Arbour and Bernard.